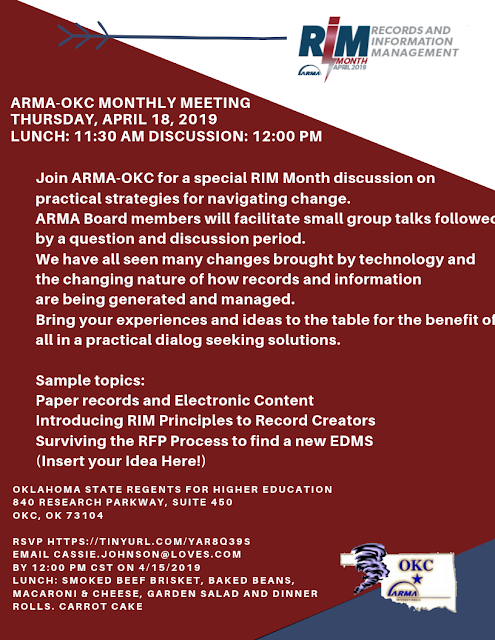 Join ARMA-OKC for a special RIM Month discussion on practical strategies for navigating change. ARMA Board members will facilitate small group talks followed by a question and discussion period. are being generated and managed. Bring your experiences and ideas to the table for the benefit of all in a practical dialog seeking solutions.